When Catherine Ducane disappears in New Orleans the cops react fast and in total secrecy with the FBI—she’s the governor’s daughter, after all. But the case quickly grows strange. Her bodyguard turns up horribly mutilated, but the kidnapper doesn’t want ransom. He wants time alone with a New York detective who has a truckload of personal issues. By the time the pieces fall into place, it’s too late. Award-winning A QUIET VENDETTA is both the epic story of one mobster’s life—ranging from Cuba to Chicago and Miami to LA—and equally a powerful thriller of rage, love, and loss. Protagonist Ray Hartmann and antagonist Ernesto Perez are equally strong characters, though Perez takes center stage. Why justify the evil deeds of Perez, or is this for your readers to decide? Please expand on your style of psychological profiling in all your works. “Well, I have a pet hate, and that is for protagonists who are always right. They make wild guesses and assumptions, and they turn out to be right. People are not like that. Life is not like that. Most people are barely right half the time. So with all characters, I simply try to write someone that can be believed in, someone that you feel you know on an intimate and personal level. In A QUIET VENDETTA the question is constantly raised, ‘Is Perez right to have done what he did?’ Also, ‘If he is wrong, does he make sufficient amends for what he has done?’ It is for readers to decide, of course. 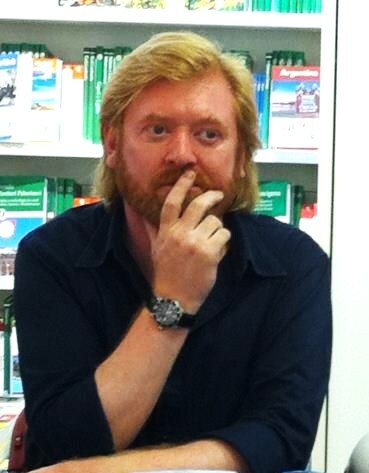 R.J. Ellory’s first novel, CANDLEMOTH, and CITY OF LIES were both shortlisted for the CWA Steel Dagger. His fifth and first to be published in the US, A QUIET BELIEF IN ANGELS, won the Livre De Poche Award, Strand Magazine Best Novel 2010, Mystery Booksellers USA Award, and the Nouvel Observateur Prize. 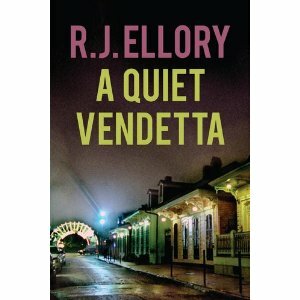 A QUIET VENDETTA won the Quebec Laureat and the Villeneuve Readers’ Prize. A SIMPLE ACT OF VIOLENCE won the UK Crime Novel of the Year. Nominated for seven additional awards, his works are now available in 24 languages, and are published by Overlook Press in the States. He is also “The Whiskey Poets” singer and guitarist. The band’s website is WhiskeyPoets.com. You can also visit Ellory at his website.